The necessary consequence of “robots eat all the jobs” is “everything gets really cheap.” The main reason to use robots instead of people to make something is when the robot can make it less expensively. When people can make something that costs less than what robots can make, then it makes economic sense to use people instead of robots. This is basic economic arbitrage at work. Indeed, had robots/machines not eaten many jobs in agriculture and industry already, we would have a far lower standard of living today. Just as increases in consumer goods prices disproportionately hurt the poor, holding back on robots eating jobs would more hurt the poor. The same logic applies to trade barriers (import tariffs): disproportionately hurt poor consumers by inflicting higher consumer goods prices. Here’s the arbitrage logic: Suppose humans make widget X profitably at $10 price to consumer. 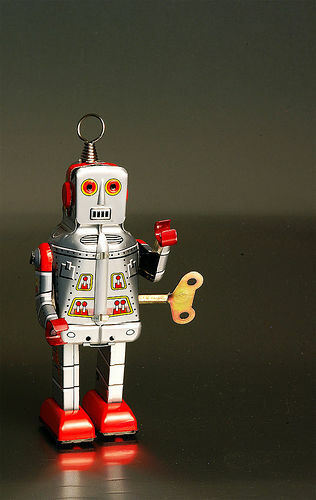 Robots can make X at $5 price to consumer. Economics drive X to be made entirely by robots; consumers win. But then imagine the owner of the robots cranks X price to consumer to $20. Suddenly it’s profitable for humans to make X again; entrepreneurs immediately start companies to make X with humans for price $10 again. Therefore, with rare exceptions, there won’t be states where “robots eat jobs” and “products get more expensive.” They will almost always be cheaper. @furukama None, it's just the economists are all using the term "robots" right now for some reason I don't understand :-). @mattmanning Milton Friedman: "Human wants & needs are endless". There are always new fields, industries, businesses, jobs to create. @mattmanning Remember, at one point, 97%+ of humanity was employed in agriculture. Now single digits and dropping, while output rising. @pmarca I love that you're tackling the "make-work bias" and helping people understand that technological innovation is a good thing. @pmarca Nitpicking: cheaper != better or even as good. Sometimes it's a race to the bottom, and makes things worse. @pmarca That's true. Standard of living does increase. But we need an education system to train people who used to have jobs now automated.